It was harvest time again in Southern Hemisphere and I was itching to go back to the wineries. 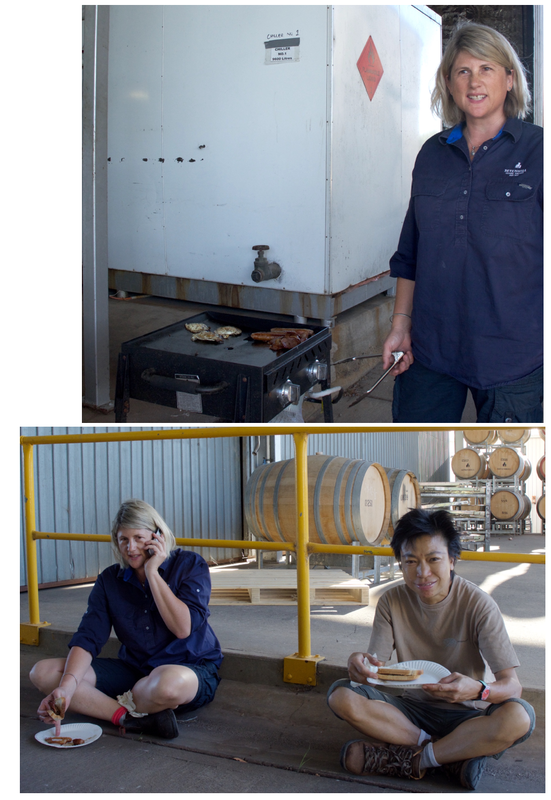 This time I was lucky to spend just over a fortnight at Sevenhill Cellars in Clare, South Australia, working with a small but truly international team including Jeremy from Australia, Ricardo from Portugal and Yongxie from Guangdong province (mainland Chinese) who just finished studying at University of Adelaide, all worked under the watchful eye of winemaker Liz Heidenreich. 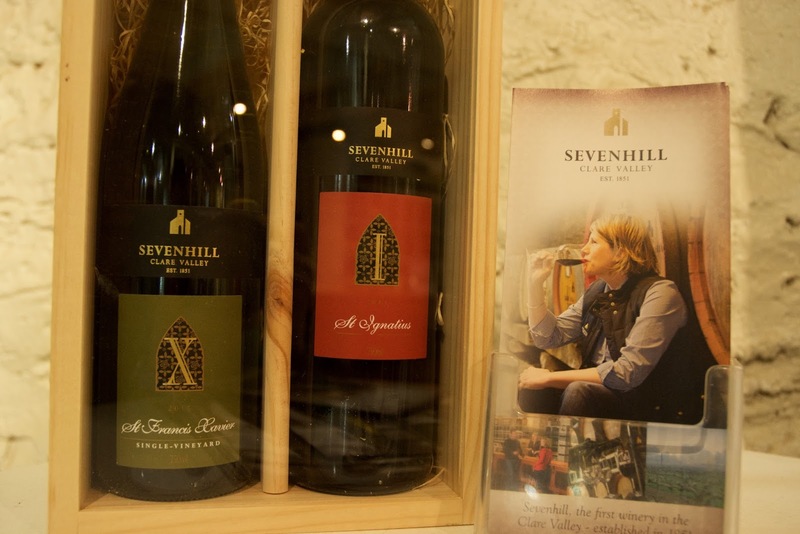 Established in 1851, Sevenhill is a Jesuit winery and the oldest one in Clare. 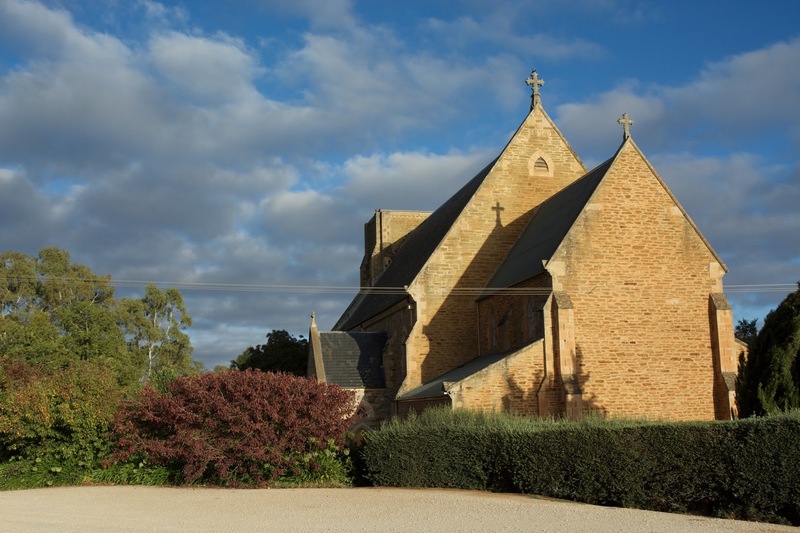 Although it is only a medium size winery crushing around 300 tons (200,000 bottles), it makes all styles of wine from sparkling to fortified, as well as Alter wine for churches in Australia and Asia. 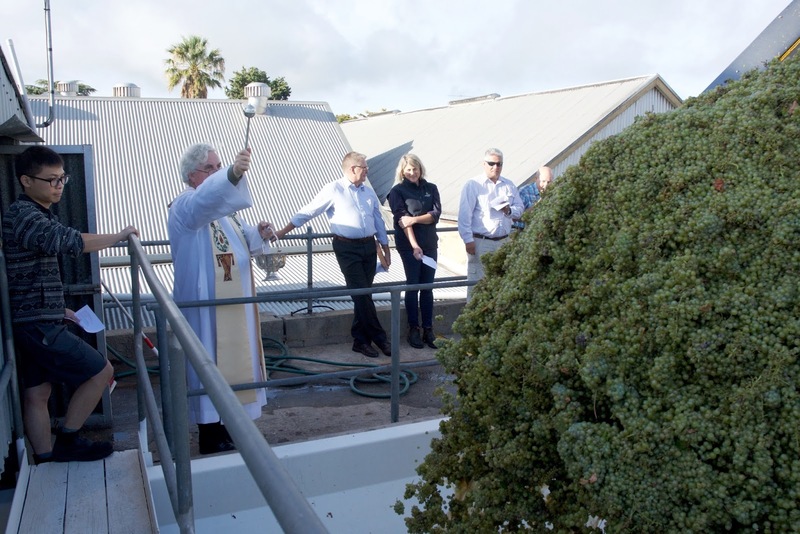 A ceremony was held at the beginning of the vintage to give blessing to the grapes. I have to say that winery work during harvest is pretty routine and repetitive. 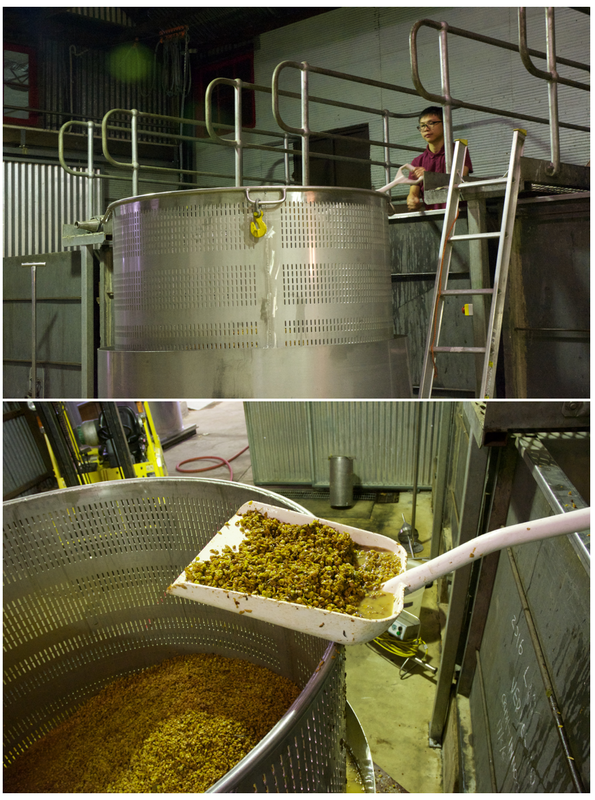 Daily chores are crushing grapes, inoculating the juice, checking ferments, plunging down, pumping over, pressing and endless cleaning. But what makes the work exciting and fun is the enthusiasm of people, who are willing to share their knowledge, help and learn from each other. No matter how experienced or not you are, there are always something you can give and take. And of course there is also the satisfaction that the sticky juice we are handling would turn into delicious, and maybe even award-winning wine one day, to be appreciated and shared among friends. I was working with a great team. 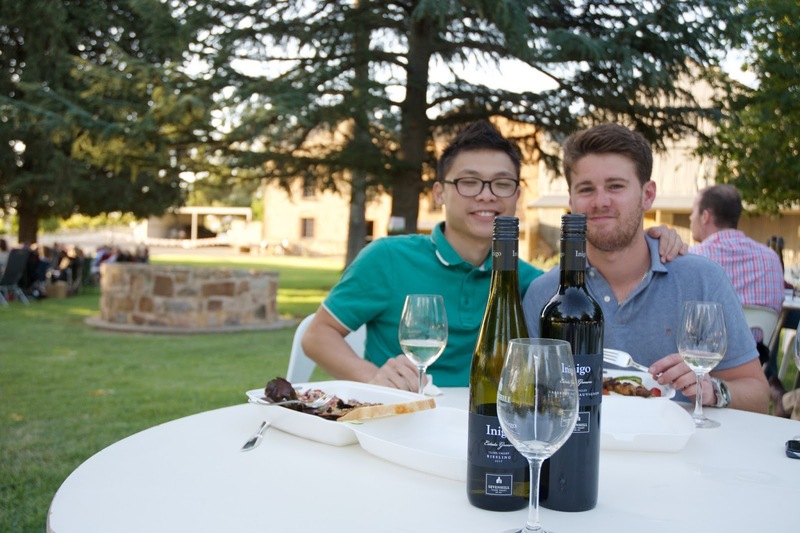 Starting with Yongxie, he completed a viticulture/winemaking degree in Beijing Agricultural University, did a vintage at one of the big wineries in the motherland before continuing his study in Adelaide. Sevenhill was his second harvest. Winery work can be heavy duty and Yongxie is petite, but he never gives up. Liz sent him into an open fermenter to manually scoop out 2.5 tons of Syrah skin. It was a tough job as he had to raise the spade full of skin above his head to dump it into the basket press. We asked to take turn but he did it all by himself. He reckoned winery work and grape processing are by and large about machine operation and that the quality of vineyards is the key to making the best wine. How true this is! The quality of Chinese wine is improving because of better winery practice but there are still vineyard management issues to be tackled. I would love to see more Yongxies - young Chinese with the right attitude who understand that winemaking is not about fancy cellars, huge tanks and expensive barrels, and who are eager to contribute to the China wine industry. Ricardo is another young man with ambition. He is methodical and thinks through the work process rather than just takes instructions. Ricardo has a friend, Joel Santos, another winemaker from his village who is working at Tim Adams Winery close to Sevenhill. Joel and I have a common link: he is one of the 48 winemakers taking part in the Ningxia Wine Challenge and I was one of the judges assessing the applicants. The fact that I had also done four vintages in Portugal further forged our friendship. Both Ricardo and Joel are passionate about wine. We bumped into each other while visiting other wineries on our day off, and we went to the Adelaide Cellar Door Festival, an annual wine event featuring over 180 wine and food producers from South Australia. Although the Portuguese duo were having a great time in Australia, both plan to make wine back in their home country eventually. After all, they believe, Portugal makes one of the best wines in the world! Jeremy is a friendly chap that is responsible for the winery when Liz is not around. Although quiet, he is always there to help as long as you ask. Liz, in contrast, is the most fun and non-boss like winemaker I have worked with. As a matter of fact, we went back a long way as we did three vintages together at Adega do Cantor (by the way, the property is in the market now) in the Algarve when I graduated from my winemaking diploma. She is a problem solver and leads by example. I had the grapes jammed like concrete in the passageway between the augur and the crusher once. 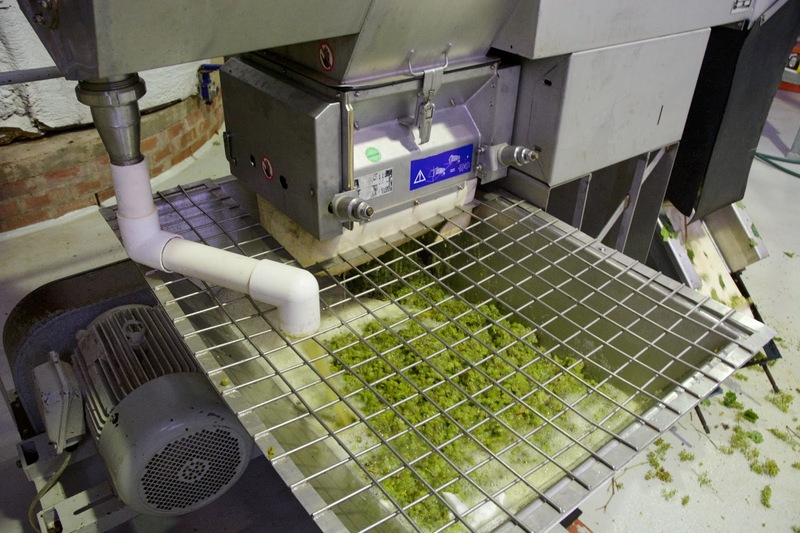 Liz was cool, stopped the machines, dug and loosened the grapes with bare hands. She just said she is the one with the longest hand! 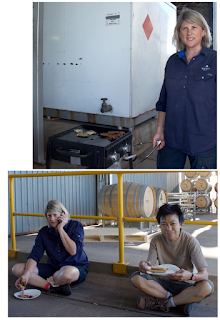 Another reason why she was loved by us all was that she cooked us bacon sausage and egg sandwich on a barbecue stove, not once, but twice at the cellar in two weeks! I don’t think you can ask more from your boss. Two weeks flew quickly. I came back with swollen fingers, cuts, bruises and scars but I was content - having crushed all the Riesling (where Clare is famous for) at Sevenhill, making new friends and meeting the new generation of Chinese winemakers. This is the spirit of winemaking and working at wineries always remind me of why wine is such a special drink. Sevenhill is available from Free Duty, with retail shops at China/Hong Kong border and an online sales platform. Look out for the 2016 Riesling that I part-made in the next few years. Inigo Riesling: Vibrant with intense citrus aromas and crisp acidity. St Francis Xavier Single-Vineyard Riesling: Elegant and pure, citrus and floral with lingering finish (not available in Hong Kong yet). With over 20 years of presence here, San Felice is one of the pioneer Italian wine brands in Hong Kong, at the time when the majority of wine in the market was from France. Today, with many more Italian players in the market, San Felice is still one of the most recognised Italian wine brands. I had a chance to discuss with Leonardo Bellaccini, San Felice’s winemaker for over 30 years, about the brand’s success and his view on the Asian market. Leonardo attributed the brand’s success largely to the effort of its importer, Valdivia/Castello Del Vino, who has been San Felice’s partner in Hong Kong since the beginning, and understands San Felice’s philosophy and vision. 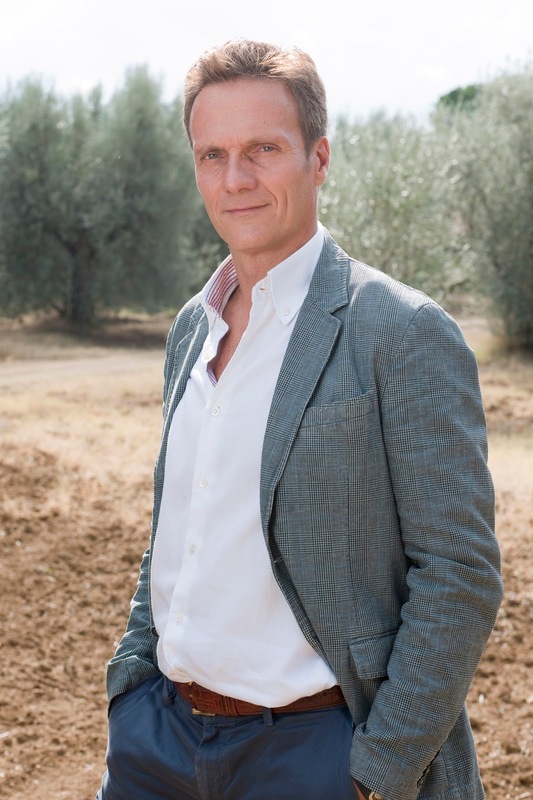 He believes that being at the right places is more important than setting sales volume, and he is glad that San Felice is available in major hotels and restaurants, including The Peninsula, Four Seasons, Aqua and Sevva. Of course regular visits to the market, in Leonardo’s case, twice a year to Hong Kong, and supporting importer on various marketing activities also help. Nevertheless, his advice to newcomers to any markets: identifying a good importer is mandatory to success. Claudia Capelvenere, managing director of Valdivia Ltd, echoed Leonardo, that mutual trust is the success to build the wine brand in the market. She also praised San Felice’s honest pricing, that they never increased prices unreasonably because of awards, limited supply or allocation. This gives her space and time to develop the brand. The fact that Valdivia is the oldest family-owned importer specialises in Italian wine since 1975 allows the company to establish a strong rapport with key on-trade customers. Leonardo is positive about Hong Kong. He does not see Hong Kong only as a gateway to China, and compares Hong Kong to Manhattan, both rich markets where all brands want to have a foothold. Hong Kong wine market is some 30 years more mature than China’s with more developed wine and cuisine culture while Chinese consumers are still at the discovery stage. Turning to other Asian markets, Leonardo said Japan used to be San Felice’s number one market but it is more of a historical market now largely because of the stagnant economy, and perhaps partly because of a not-too-ideal import partner. However, he is bullish in South Korea and Singapore, currently number one and three of San Felice’s markets in Asia, with Hong Kong being number two. Of course quality is also essential to the brands’ success. Leonardo’s believes in indigenous grapes which have a strong link to the region, and show much better of terroir. International grape varieties such as Cabernet Sauvignon and Merlot have strong personalities that put their fingerprints over terroir rather than expressing it. Having said that, San Felice is one of the first Chianti wineries to have produced a Super Tuscan Vigorello, a blend of Cabernet Sauvignon, Merlot and Petit Verdot, back in 1968, when Chianti was suffering from a poor reputation. 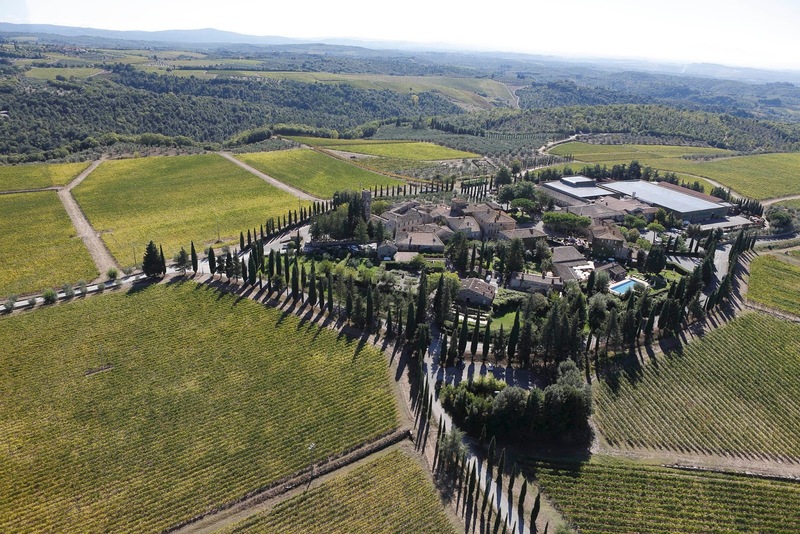 San Felice wanted to show the world that Chianti is capable of producing a modern, international wine with a Tuscan character. 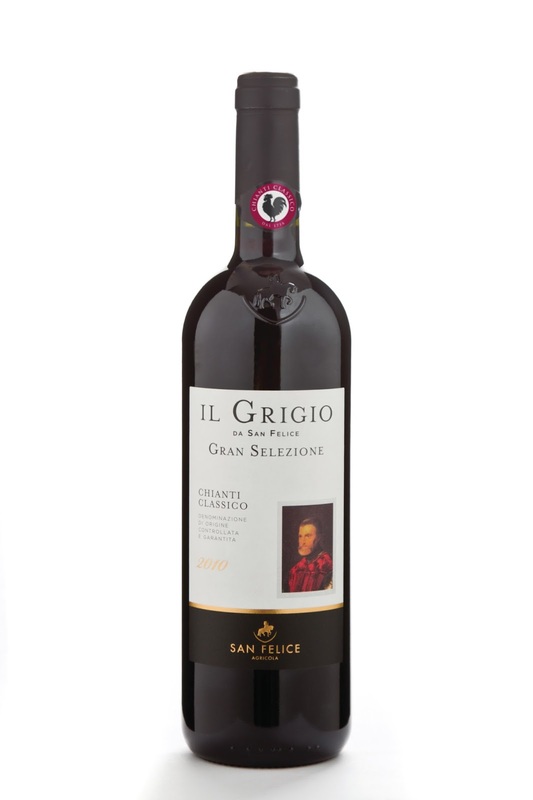 Nevertheless, to ensure full expression of terroir, its Chianti Classico Il Grigio Riserva, only uses 100% Sangiovese while the Chianti Classico Gran Selezione Il Grigio uses Sangiovese with a touch of other local grape varieties including Pugnitello, Malvasia Nera and Ciliegiolo. Gran Selezione is a new denomination approved by the European Commission in 2014 to showcase the excellence of Chianti Classico. Wine classified in this category must be made by grapes from the wineries‘ own vineyards, aged a minimum 30 months in oak and be judged and approved by a panel, amongst others. 2014 only had 25 wines approved while this year has increased to 93. Leonardo was very pleased that his Gran Selezione 2011 was awarded the #1 wine of Wine Enthusiast’s Top 100 2015, demonstrated that San Felice’s success is a combination of quality, commitment and good partnership. Celebrities from around the world are making wines but it is not often that we have a chance to taste them. Thanks Dream Wines that I could taste not only one, but two wines made from sportsmen from different parts of the world side by side. The fame of celebrities may sell the wine once but the wine must have the quality in order to sustain sales. So how did these two celebrity wines fare? The first one was from Ernie Els, a professional golfer from South Africa and a former world number one. His estate, Ernie Els Wines, is located in the Golden Triangle of Stellenbosch where some of the best wines from the region is made. Its proximity to False Bay allows the vines to benefit from the cooling ocean breezes, producing smaller berries with optimum ripeness and concentration balanced by lively acidity and smooth tannins. Experienced winemaker Louis Strydom has been making wine for Ernie since the first vintage in 2000. 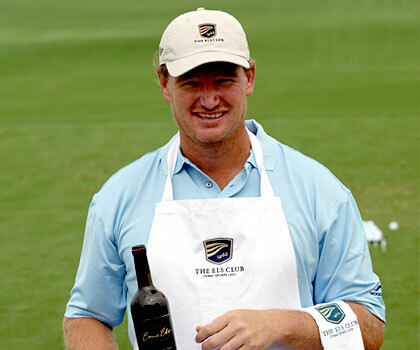 Ernie Els reds are particularly impressive. The Big Easy, named after Ernie’s nickname because of his size (6 ft 3 in tall) and his fluid golf swing, is a full-bodied yet easy-drinking Mediterranean style blend dominated by Shiraz and Cabernet Sauvignon - definitely a crowd pleaser perfect to be served by the glass. The Proprietor’s Blend is a notch up Bordeaux blend with 20% Shiraz to add the extra dimension, while the Signature is a classic Bordeaux blend that is one of the finest expression of Stellenbosch terroir - a structured wine with fine tannin and long finish supported by abundant fruit. No wonder the wine consistently scored 4.5 and 5 stars in the Platter’s Guide. The second was Yao Ming, probably the most well-known and popular sport celebrity in China. 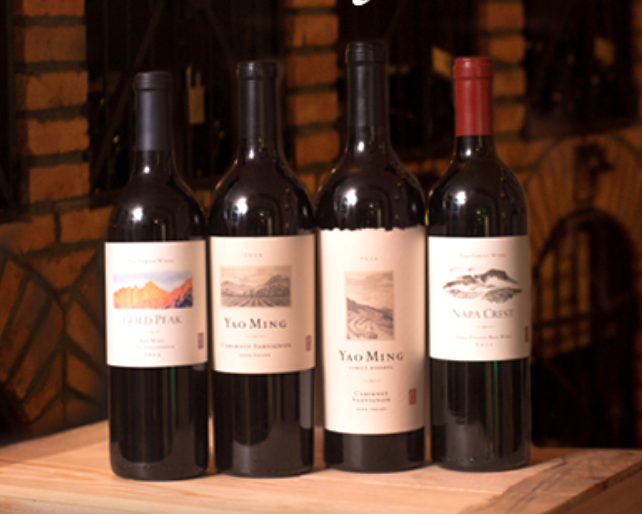 The estate, Yao Family Wines, sourced grapes from different Napa vineyards and make only Bordeaux red blends heavily dominated by Cabernet Sauvignon. 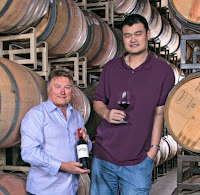 Its first wines, Yao Ming Napa Valley Cabernet Sauvignon and Yao Ming Family Reserve Cabernet Sauvignon, both 2009 vintage, were released in China with great fanfare with the latter retailed at around HK$5,000/bottle. 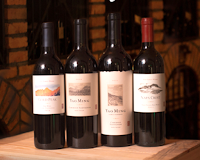 Today, the estate has two more affordable wines in its portfolio: Napa Crest and Gold Peak. Yao Ming’s wine, received acclaim from wine critics, is typical of California - powerful, bold and flashy. Both Ernie and Yao extended their sports professionalism to their wine. Ernie’s secret of success in golf is discipline, focus and commitment; and he is determined to make his wine with the same focus and discipline. Yao, on the other hand, said a basketball game is not a one-man show, it requires team. Making a good wine is also the same and that no one person can do it alone. He is grateful for the team behind his wine. Guests at the table agreed that both celebrity wines have the quality to back them up. Which wine you prefer will be up to your preferences. I was suggesting to Dream, the lady behind Dream Wines, to invite both Ernie Els and Yao Ming for a friendly tug-of-war here in Hong Kong, and we can count the number of fans behind them. Which side will I go with? For those who know me would probably guess the answer. 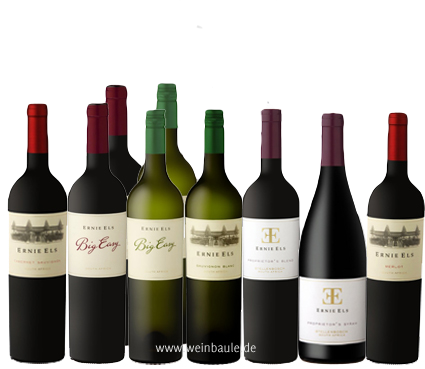 Both Ernie Els Wines and Yao Family Wines are available from Dream Wines. 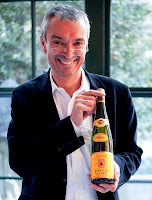 Energetic Etienne Hugel, the face of the Alsatian estate Hugel, visits Asia regularly and often. His first market visit this year was on a high note and he was excited to share the latest changes at the estate. 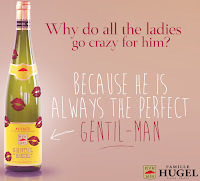 First of all was the change of name, from ‘Hugel & Fils’ to ‘Famille Hugel’, to officially recognise the other gender in the family. This was followed by the change of the label. While still retaining the trademark ‘Maggi’ yellow colour, the family coat of arms is modernised and the new label looks cleaner and fresher. 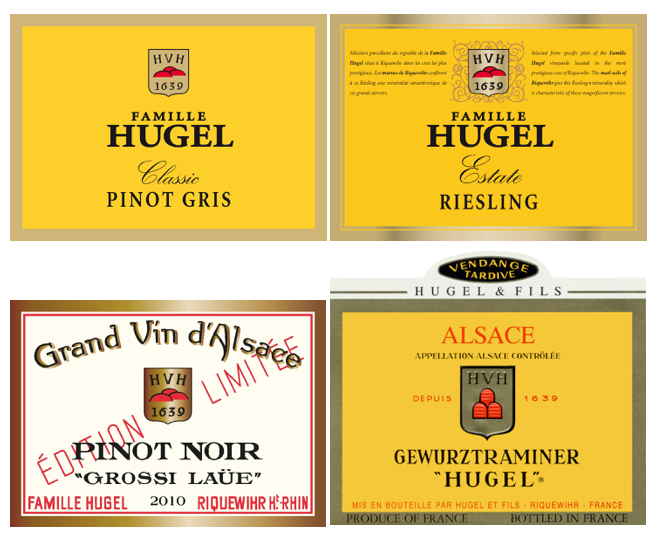 Last but not least, the family also revamped their range of wine, starting from most popular Gentil, then the dry varietal wine Classic (former Hugel) range predominately from purchased grapes, the Estate (previously Tradition) range which only consisted of Riesling and Gewurztraminer from the selected plots in the family estate, followed by the Gossi Laüe range replacing the Jubilee line where grapes are picked from the best sites in the estate. The limited release Schoelhammer, with 2007 being the first vintage, is a single vineyard Riesling from the heart of the Schonenbourg Grand Cru hillside. Vendage Tardive and Selection de Grains Nobles completed the range. We tasted and compared four varieties in different ranges: Pinot Noir (2014 Classic and 2010 Gossi Laüe), Riesling (2013 Classic, 2012 Estate and 2010 Gossi Laüe) , Pinot Gris (2012 Classic and 2010 Gossi Laüe) and Gewurztraminer (2013 Classic, 2012 Estate, 2010 Gossi Laüe and 2007 Vendate Tardive). All the wines were well-made and each range has a clear identity that appeals to the target customers and occasion. The Classic range is fresh and accessible, the Estate range has an added complexity and dimension while the Gossi Laüe (equivalent to Grosse Lage or Grand Cru) range is the finest expression of terroir. The Gossi Laüe Pinot Noir was complex and elegant, while its Riesling counterpart, awarded the perfect 20/20 points by Bettane & Desseauve, was dense, precise and with longevity. I am not a big fan of Gewurztraminer but was impressed by the Hugel Gewurztraminer series. They were aromatic but not excessive, full bodied but not heavy, opulent but not right on your face. The Estate one was harmonious while the Gossi Laüe’s was elegant. I think they would match well with the spicy and slightly sweet Korean cuisine. However, I can feel that Etienne was most proud of the mass appealing Gentil, a wine blended with all the key Alsatian white varieties: Pinot Gris, Riesling, Gewurztraminer, Muscat, Pinot Blanc and Sylvaner. The objective is to produce a consistent wine year on year that goes well with a wide range of food. Each grape contributes a layer or aroma but none dominates the wine. Etienne compared it to champagne - a wine that makes people happy but without the bubbles and the price tag. Its 2007 vintage was selected by Decanter as one of the France’s 50 best-value wine. Etienne was also frank about how Gentil was born - not because of some fancy idea of the winemaker but because of the downturn of the economy after the Gulf War in 1992 when the company was forced to develop a value wine. The name Gentil was chosen because it was the term for a blend of wine from noble grapes in the 1920s. The decision proofed to be a sound one and today 400,000 bottles of Gentil are available in all 109 countries that Hugel exports to. The 2013 vintage was even served on the business class of Japanese airline ANA. 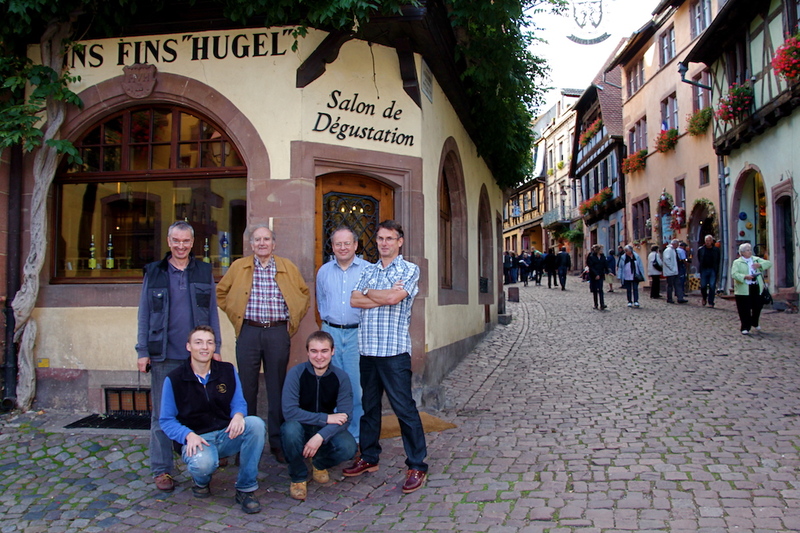 Familie Hugel is in its 13th generation but the company does not show any sign of tiredness or sleepiness. With the changes outlined by Etienne, I can see the family is adapting to future and engaging the young generation while balancing it with quality and traditional value. 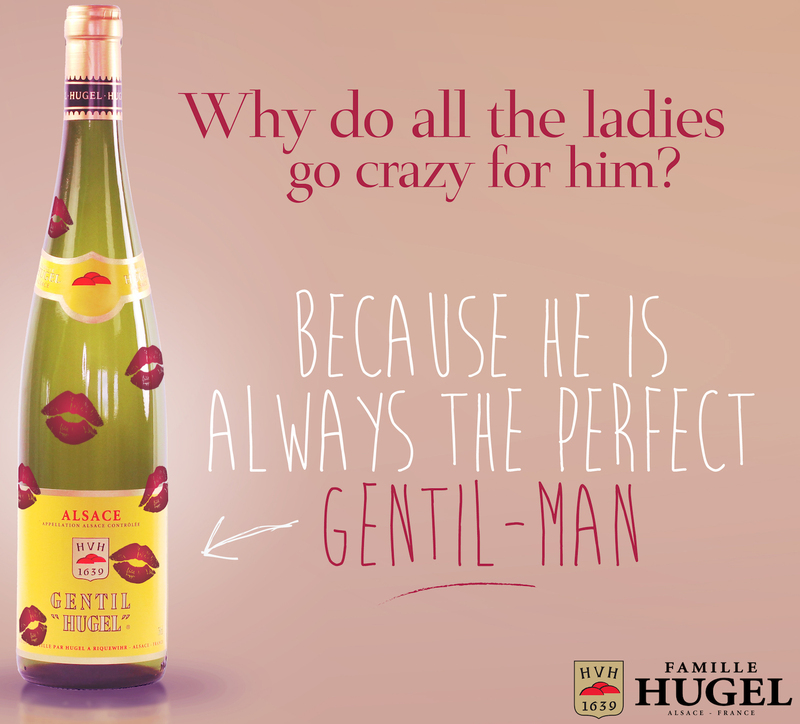 The new carton box of the crowd-pleasing Gentil, is a picture of the bottle with kisses, with the question, ‘Why do all the ladies go crazy for him?’ and the answer, ‘Because he is always the perfect Gentil-Man’. Well, traditionalists may find this tacky but so what if the majority likes it. After all, it’s only the carton box, Etienne assured us that the kisses are not on the actual bottles. Etienne is charming and humorous, with a presentation style not dissimilar to Apple Computer founder Steve Job. 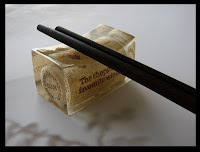 He has been actively promoting Riesling with Asian cuisine for the past 20 odd years and even produced a set of chopstick with a Hugel cork holder to hammer the message. I hope his effort and love for Asia will be carried on by the young Hugels in future. 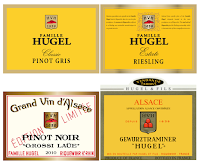 Hugel is available from Summergate.